Crucial Environmental Ltd. / Our Services / Who Needs an Asbestos Survey? The Control of Asbestos Regulation 2012 (CAR2012) and Health & Safety Guidance Notes 264(HSG264) state that any non-domestic building must have an asbestos management plan in place to comply with statute law. Asbestos surveys can be carried out for everything from residential and domestic to industrial and commercial properties. If you are responsible for any sort of building which might contain asbestos, it’s important that you should have a survey carried out as soon as possible. The Control of Asbestos Regulations 2012 state that any non-domestic building must have an asbestos management plan in place to comply with statute law. In this context, non-domestic is defined as being any building that is used solely for commercial purposes such as a shop, office or factory. It also applies to buildings that are used by the general public including schools, libraries, council offices and more. Additionally, any blocks of flats also require a management plan for common areas such as corridors, stairs, lifts and gardens. The plan is put in place to protect anyone who works in or enters the building from being exposed to asbestos and asbestos containing materials (ACMs). The easiest way to create a management plan is to have a survey carried out. Even if you are just the tenant of a non-domestic property it can be worth checking through your tenancy agreement thoroughly to check who is responsible for creating the management plan and managing the asbestos. It may be the case that the duty falls to the landlord or the managing agent, but don’t assume this will be the case. If you are responsible for asbestos management then you need to take steps as soon as possible. Refurbishment and Demolition Survey – these surveys are ideal if you’re having renovation works carried out, or having either the whole or a portion of your property demolished. Using destructive and intrusive techniques, we will uncover asbestos that is hidden in the fabric of the building. Re-inspection Survey – if you have asbestos on your property, it needs to be properly managed. A part of this management involves regular re-inspection to check whether the condition of the asbestos has changed or deteriorated. Whether you are buying a new home or have uncovered concerns in your current property it can be very important to have an asbestos survey carried out in a residential environment. You should also remember that any building built before 2000 could potentially contain asbestos. 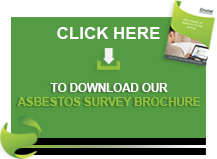 Homebuyer Asbestos Survey – if you’re buying a property and are concerned about the extent of asbestos and ACMs, a home buyer asbestos survey can provide you with a full breakdown and analysis of any asbestos on the site along with estimates of remedial costs. While a standard pre-purchase survey will note the presence of asbestos, it will not going into detail on the condition of the material – only with a full asbestos survey can you get a real understanding of the specifics. Management Survey – if you have any reason to suspect that there may be asbestos at your home, it’s important to have an asbestos survey carried out as soon as possible. This is especially true if the asbestos is at risk of being disturbed or damaged. Having a survey can ascertain whether asbestos is present, and the report will then advice on potential next steps in terms of management or removal. For more information on any of asbestos surveys mentioned above or to talk through your requirements, please don’t hesitate to get in contact with Crucial Environmental today. You can call us on 01903 297818 or email info@crucial-enviro.co.uk.